For those who go on the MTR regularly, recalling subway stops might be as easy as saying one, two, three but for those unfamiliar with the subway system, it can be a bit of a blur. Tiffany, founder of designhype who recently launched the NYC Metro Cuff, obviously felt the same way over at the other side of the world. Says Tiffany, “I am trained as an Industrial Designer. 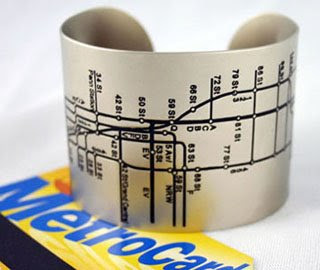 The NYC Metro Cuff came out of a friend’s need to feel like she belonged in New York City after moving here from Boston. She complained that she looked like a tourist in her new city when pulling out her subway map and she was being approached by all sorts of people trying to help her out. I was working on my Master's of Industrial Design thesis at the time titled Solo, about women travelling the world alone. Her situation with the map fit within my thesis topic perfectly and that is when I designed the NYC Metro Cuff to combat her need and to help her feel like she could navigate the NYC Subway system on her own. 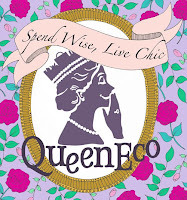 I designed the cuff to be fashionable and functional.” The NYC Metro Cuff costs US$25 including shipping. Tiffany is going to be issuing other city cuffs soon so keep an eye out for Hong Kong!